Yelp can be a valuable tool to help you find a restaurant, entertainment or a wide range of business that are found in a specific location. It is particularly useful when traveling as you search for good establishments. 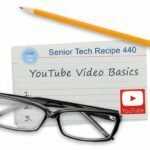 This recipe will define what Yelp is and how you can use it to search for restaurants, stores and businesses. Yelp is the social networking site at Yelp.com that allows users to post reviews about the service and experience they had at a restaurant, store or other business. Yelp also works with businesses to gather information about the business in order to create an online profile for the business. 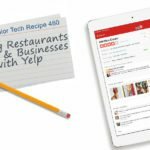 Yelp presents the user reviews and rating along with the business profile on a web site that includes tools that allows you to search and view the business information. So if you are looking for a good restaurant that is near you, you can search for “Restaurants” and browse a list of local restaurants and also see their reviews and rankings. This combination of information surpasses what a Yellow Pages directory from a previous generation would be able to offer. Yelp is particularly handy when you are traveling or simply at a location where you are not familiar with local businesses. It is your local guide to help you find a good restaurant or whatever type of business or service you seek. Yelp comes under some criticism from the marketplace for a couple of reasons. First, any site that supports user reviews has to deal with fake reviews. These might be negative reviews posted by competitors or even positive reviews that are not accurate. Secondly, Yelp is criticized for logic that can hide or filter reviews from views. When a business has a lot of reviews, not all of the views are always displayed. This can affect overall ratings of the business. 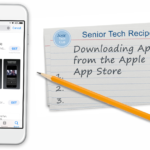 At the Senior Tech Club, we feel that Yelp’s information and reviews on a business are useful and valuable. However, you should always treat the rankings and reviews with some amount of skepticism. If you are dealing with contractors or other business where your investment and exposure is greater, look to additional sources for referrals and reviews. Yelp sells ads that are placed in search results and embedded in other company profiles. The ads are identified as Sponsored Results. It is easy to scroll past the Sponsored Result to get to the standard results from your search. If you use Apple Maps for searching or as a GPS, you are already using Yelp information. 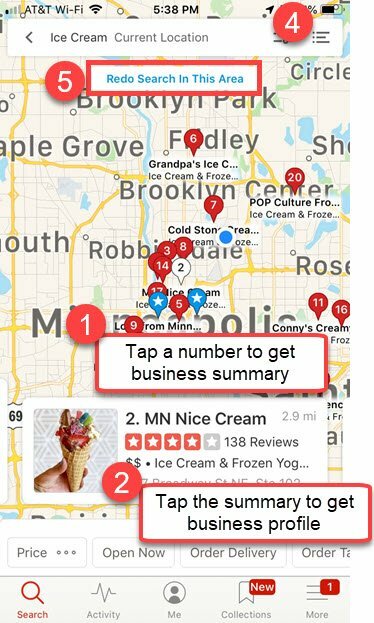 The business listings, business information and ratings displayed in the Maps app come from Yelp. If you search for “coffee” in the Apple Maps app, the business information and ratings come from Yelp. 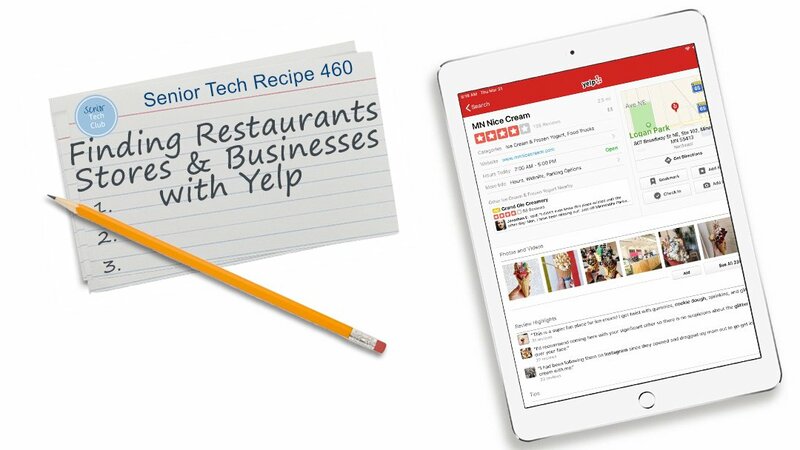 Use the Yelp app for your iPhone or iPad. The Yelp app can be found in the App Store and is a Free app. 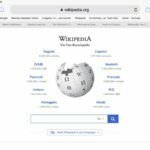 If you are accessing the site from a desk or laptop computer, you should use the Yelp.com site. On mobile devices we have a preference for the Yelp app on an iPhone or iPad. The app was better at using location services to present business near you. Also, the mobile web site would persistently ask you about the app and take you to the App Store to install and download. Do you need to register and log in? 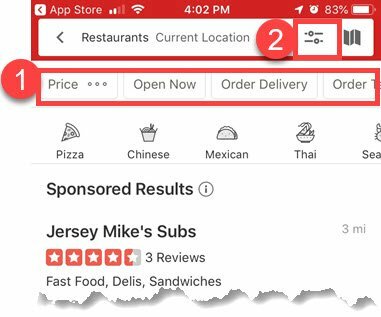 If you are going to use Yelp to search for businesses and read business information, ratings and reviews, you do NOT need to register and log in. If you want to submit reviews about your experience with a business you will need to create a user account and log in. Imagine that it is a hot summer day and you are in a remote city that is not familiar to you. And it is a perfect day for ice cream. 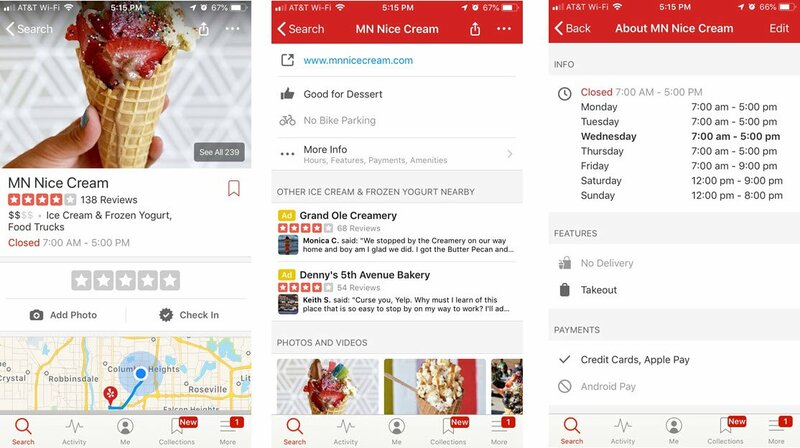 So let’s use Yelp to search for ice cream using the iPhone app. 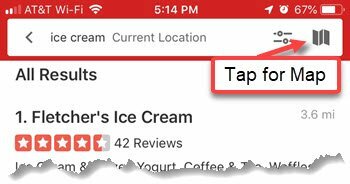 Tap Allow to let the Yelp app use location services. In the Location search box you can also type a city name or a zip code in order to search for a business at a distant location. Complete the Search by tapping Search or the Search key on the keyboard. You can scroll past the Sponsored Results until you see All Results. On the business display you will find the complete listing for the business. If a restaurant has worked with Yelp to complete their business profile, you will hours, food and setting characteristics and even menus. Scroll between the various screens to access the complete profile. 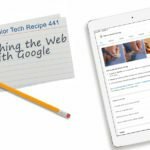 One of the more valuable pieces of information is the business’ web site where you can look up more information about the business and their products and services. A map of the location is also available on the business information page. Tap on the map thumbnail in order to display the map full screen. Tap on Open Maps in order to open the location in the Apple Maps app for a more detail map and GPS direction functions. A search might provide a long list of businesses and you would like to refine the results to a smaller list. From the search results page there are two set of filters that will allow you to tune the search results by business information. Directly above the search results are two common search criteria, Price level and if the restaurant is Open Now. Tap the Filter icon on the right of the search bar to access a full list of filters to tune your results. From the results listing, you can also display the business on a map. Tap the Map icon on the upper right (kind of looks like a folded map) and the search results will be display on a map. Business are numbered on the map using the same number as in the list. Here are your capabilities from the map display. You can tap a number to display the business name and summary. Tap on the business name and summary to display the full listing of the business. Tap the list icon to return to the list. Adjust the map listing by pinching or shifting the map. Then you can redo the search by tapping on the Redo Search in This Area button. It’s an easy way to adjust the location you are searching. Describe how might use Yelp. True or False. Reviews and ratings on Yelp are a definitive evaluation of a restaurant. 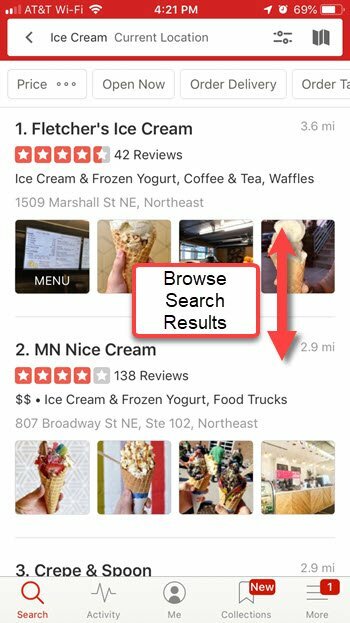 What two elements are required in a Yelp search? 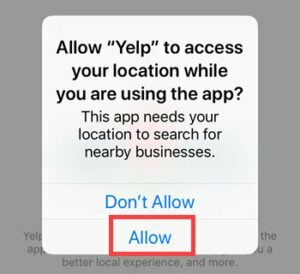 What standard Apple app already uses Yelp information?